In School Lane, Higher Bebington Village stands a small Methodist Church. 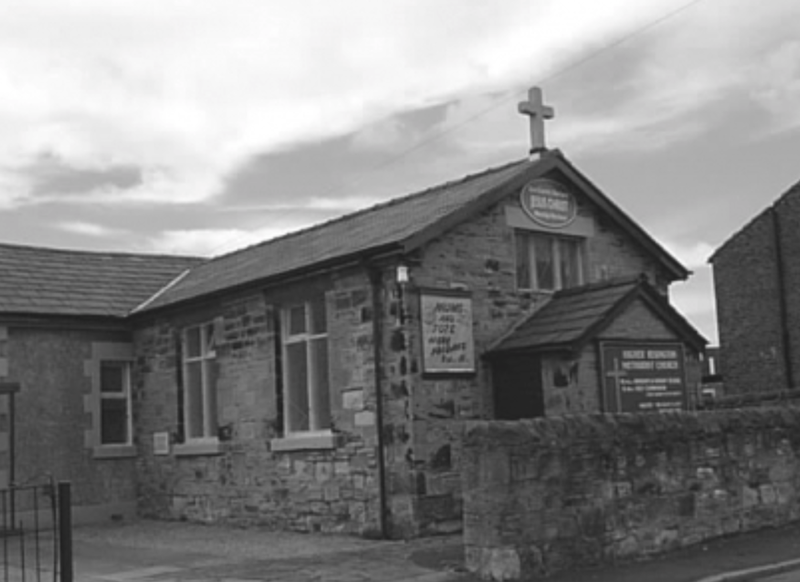 It was not always a church; it has served that function since 1938. Prior to that time it was Higher Bebington’s first local school. Higher Bebington School was opened in 1845 and originally was open only to boys. Girls were first allowed into the school in 1871. The school also had an infants’ department, or rather, a room, separate from the boys. The school cost the grand sum of £235 to build, with over half of that sum raised by the local people. The school has had several names over the years including: Higher Bebington Boys School, Higher Bebington National School, Higher Bebington Church of England School and Higher Bebington Council School. In 1914 the main part of the present building in Mill Road was constructed. The school’s multipurpose hall and canteen was added in the 1960’s, while 2002 saw the construction of an additional four-classroom unit attached to the foyer entrance. Most recently, in 2006, two additional classrooms and indoor Boys’ toilet facilities were added at the end of the main corridor. There had been a windmill in the area from at least as early as the 14th century. The last one to be built stood in School Lane diagonally opposite the old school building. It was demolished in 1970 and exists today only on the badge of Higher Bebington Junior School.